Suren Rāghavan Ph.D. is a Research Fellow at the Centre for Buddhist Studies – Wolfson College University of Oxford and a visiting professor at St Paul University Ottawa- Canada. The war in Sri Lanka was violent and costly in human and material terms. This was one of the longest wars in modern South Asia. Often referred to as an ‘ethnic’ conflict between the majority Sinhalas and the minority Tamils, the war had a profound religious dimension. The majority of Sinhala Buddhist monks (the Saṅgha) not only opposed any meaningful powersharing but latterly advocated an all-out military solution. Such a nexus between Buddhism and violence is paradoxical; nevertheless it has a historical continuity. In 2009 when the war ended amid serious questions of war crimes and crimes against humanity, monks defended the military and its Buddhist leadership. 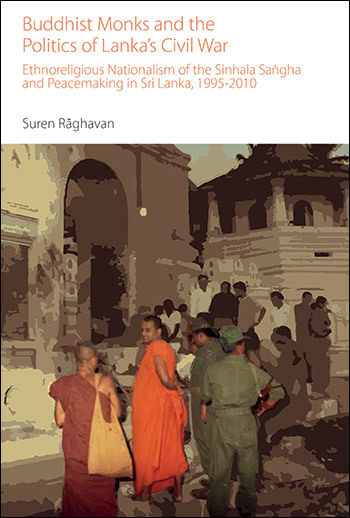 Taking the lives of three key Saṅgha activists as the modern framework of a Sinhala Buddhist worldview, this book examines the limitations of Western theories of peacebuilding and such solutions as federalism and multinationalism. It analyzes Sinhala Buddhist ethnoreligious nationalism and argues for the urgent need to engage Buddhist politics – in Lanka and elsewhere – with approaches and mechanisms that accommodate the Saṅgha as key actors in political reform. Sinhala Buddhism is often studied from a sociological or anthropological standpoint. This book fills a gap by examining the faith and practice of the Sinhala Saṅgha and their followers from a political science perspective. The war in Sri Lanka was violent and costly in human and material terms. This was one of the longest wars in modern South Asia. Often referred to as an ‘ethnic’ conflict between the majority Sinhalas and the minority Tamils, the war had a profound religious dimension. The majority of Sinhala Buddhist monks (the Saṅgha) not only opposed any meaningful powersharing but latterly advocated an all-out military solution. Such a nexus between Buddhism and violence is paradoxical; nevertheless it has a historical continuity. In 2009 when the war ended amid serious questions of war crimes and crimes against humanity, monks defended the military and its Buddhist leadership. Taking the lives of three key Saṅgha activists as the modern framework of a Sinhala Buddhist worldview, this book examines the limitations of Western theories of peacebuilding and such solutions as federalism and multinationalism. 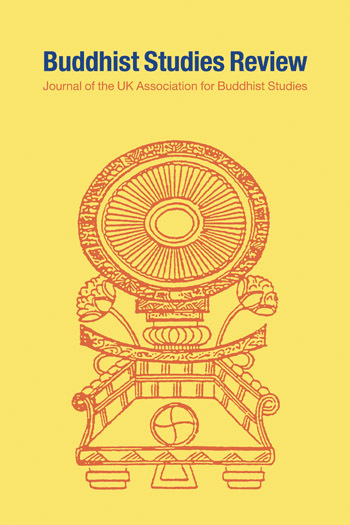 It analyzes Sinhala Buddhist ethnoreligious nationalism and argues for the urgent need to engage Buddhist politics – in Lanka and elsewhere – with approaches and mechanisms that accommodate the Saṅgha as key actors in political reform. Sinhala Buddhism is often studied from a sociological or anthropological standpoint. This book fills a gap by examining the faith and practice of the Sinhala Saṅgha and their followers from a political science perspective. This introductory chapter lays out the purpose of the book, which is to explore how a country permeated by the supposedly peaceful teachings of Theravāda Buddhism became a “killing field”. This broad question has generated a considerable volume of literature. This book will focus on a crucial segment of these complex developments: the powerful role of the Saṅgha Buddhist monks in the contemporary politics of war and peace in Lanka. The chapter outlines the theoretical approaches and fieldwork undertaken in the course of writing the book. The chapter also provides a history of Lanka with particular attention to the colonialist period (from 1505) to the present day and the creation of a ‘federal system’. It concludes that In Lanka, the notion of independence did not come from secular forces but through an attempt to re-establish and re-assert the legitimacy of Buddhism and its chief-interpreters, the Saṅgha, eventually restorin them at the center of power and at the center of the conflict. 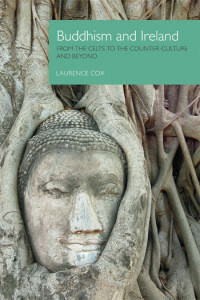 This chapter examines the history of Buddhism and key texts alongside developments in Lankan history to try to define the nature of of the society of Buddha and to trace some of the strands defining the relationship between the Buddhist movement and political governance through the centuries. In seeking to seek to map the institutionalization of the Buddhist order and the resultant political powers this process created in Lanka, the chapter asks whether early Buddhism outlined and effected an alternative power arrangement to existing modes prevalent at the time. Finally, through detailed analysis, the chapter concludes that the evolution of the self-understanding of the Saṅgha in Lanka went through four major phases: 1. From the Pāli Tripiṭaka teaching to the Mahāvaṃsic outlook (from 300 BCE to 500 CE), 2. from monastic worldview (Lokottara) to social worldview (Laukika) (500 CE to 1700), 3. from a universalistic, open outlook to an ethnic and caste orientation, (1700–1900), and finally 4. from being supporters of political groups and policies to direct political engagement (1900–2010). This chapter surveys the key moments in Saṅgha mobilization, and concludes that with each wave of resistance, the Saṅgha were able to claim societal, cultural and political space to promote their agenda, and this agenda acquired sharper contours as their ethnoreligious nationalist project took shape. The previous chapters reconstructed the Sinhala Saṅgha mind-set in order to understand the Saṅgha as key actors within the Lankan polity. We noted how they not only rejected federalism as a solution to the separatist war in Lanka but also interpreted it as a threat undermining Lanka’s unique position as the designated home of Buddhism, just as the war itself threatened the territorial integrity of island. The Saṅgha fought against federalism with the same motives that made them engage in and support military action against the Tamil Tigers. This dynamic remained largely unnoticed by well-meaning Western observers and activists. In this chapter, we will explore the Saṅgha opposition to federalism in detail, but instead of approaching the subject from the point of view of the Saṅgha, the chapter reviews the contents of the federal proposition and the trajectory of the federal debate in Lanka. It concludes with an assessment of the prospects for peace building in Lanka and reasons for past failures, the main point being that it is not that the techniques and methods of peace building need refinement; rather, the entire project of Western-style peace building and federalizing needs a thorough review in light of its unintended and yet very real effects on countries such as Lanka. This is a fine study of the political role of Sinhala Buddhism, especially its monastic order, in Lanka’s post-independence experience of defining statehood and the place therein of minority cultures and religions. The focus is on the turbulent era between 1983-2009 marked by violent struggle (largely supported and encouraged by the Buddhist clergy) between the state and the Liberation Tigers of Tamil Eelam. The book makes a major contribution to an understanding of why the powerful Buddhist sangha (with some important exceptions) has such a visceral response to a proposed notion of Western-style federalism as an answer to Lanka’s political travails, and how the international community failed (and still does fail) to adequately understand this. Dr Raghavan’s important book is the result of many years of research about the political problems in Sri Lanka, but it is also the result of his personal engagement with these issues. This is a critical and engaged scholarly book that should be read by all those interested in the role of Theravda Buddhism in politics.